That lack of understanding is one of several serious flaws in The God Delusion. 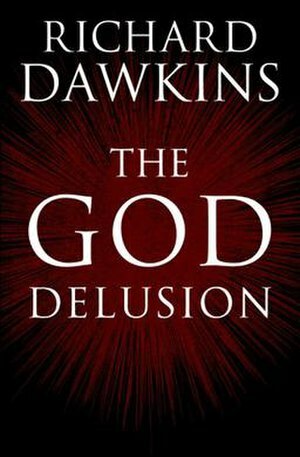 Dawkins tries to refute the popular arguments for God’s existence, and presents his arguments against God’s existence. Many of these arguments are misinformed or not logically sound. He makes no bones about his lack of respect for religious people in general: “What works for soap flakes [marketing] works for God, and the result is something approaching religious mania among today’s less educated classes.” That attitude toward the other side of the issue doesn’t seem to encourage thoughtful debate. 1. Many Christians believe (and there is scriptural support) that God created time along with the universe, and is therefore outside of time. This is not an esoteric view, or a new one. 2. Almost no one believes that the creator God is a biological creature subject to natural selection. Most Christians do not believe that God is physical. There is no reason to accept Dawkins’s assumption that any intelligence that exists, anywhere, inside or outside of our universe, must be physical or must have evolved by Darwinian means. These objections are based on fairly common points of view, yet they are not addressed. Visions are, well, visions – no one claims that they are actually occurring in a physical sense (except perhaps inside the brain). Omitting such an obvious, mainstream interpretation of the event and claiming that those who accept the Fatima event believe that the solar system no longer exists doesn’t help his case. – Cloud of Witnesses thanks Desmognathus for this guest post. Desmognathus is a follower of Jesus Christ, a wife, and a mother. She has an M.S. in biology and a Ph.D. in ecology, and enjoys philosophy and theology. She likes rock climbing and dislikes celery. This isn’t too surprising, since matter and laws of nature are incapable of generating value, regardless of how they interact or what levels of complexity they achieve. Value or worth is never the product of a chemical reaction or the movement of particles, or the conclusion of an equation. The traditional supports for the idea of human dignity are gone. They have not survived the colossal shift of perspective brought about by Darwin’s theory. It might be thought that this result need not be devastating for the idea of human dignity, because even if the traditional supports are gone, the idea might still be defended on some other grounds. Once again, though, an evolutionary perspective is bound to make one skeptical. The doctrine of human dignity says that humans merit a level of moral concern wholly different from that accorded to mere animals; for this to be true, there would have to be some big, morally significant difference between them. Therefore, any adequate defense of human dignity would require some conception of human beings as radically different from other animals. But that is precisely what evolutionary theory calls into question. It makes us suspicious of any doctrine that sees large gaps of any sort between humans and all other creatures. This being so, a Darwinian may conclude that a successful defense of human dignity is most unlikely. – James Rachels, Created from Animals (Oxford University Press, 1990), pp. 171-172. According to a survey of American Association for the Advancement of Science members, conducted by the Pew Research Center in May and June, a majority of scientists (51 percent) say they believe in God or a higher power, while 41 percent say they do not. Furthermore, scientists today are no less likely to believe in God than they were almost 100 years ago, when the scientific community was first polled on this issue. In 1914, 11 years before the Scopes “monkey” trial and four decades before the discovery of the structure of DNA, psychologist James Leuba asked 1,000 U.S. scientists about their views on God. He found the scientific community evenly divided, with 42 percent saying that they believed in a personal God and the same number saying they did not. . . . But the scientific community is much less religious than the general public. In Pew surveys, 95 percent of American adults say they believe in some form of deity or higher power. And the public does not share scientists’ certainty about evolution. While 87 percent of scientists say that life evolved over time due to natural processes, only 32 percent of the public believes this to be true, according to a different Pew poll last year. It seems that most scientists aren’t compelled by their discipline to abandon their religious beliefs.